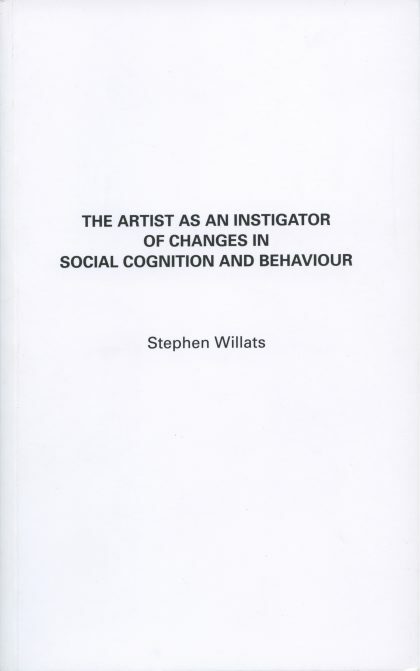 This is the first re-issue of Stephen Willats’ major text The Artist as an Instigator of Changes in Social Cognition and Behaviour since its original publication in 1973. 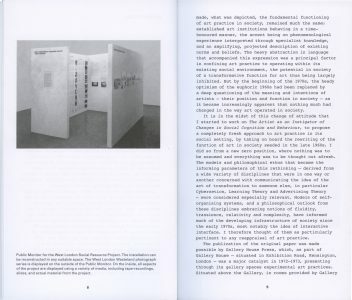 Willats wrote The Artist as an Instigator while he ran the Centre for Behavioural Art, a cross-disciplinary research and discussion platform he established at Gallery House, London, in 1972–73. 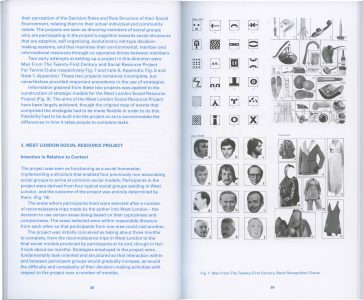 Long out of print, and as relevant today as it was in the early 1970s, the essay includes rigorous analyses of social forms of artistic production and descriptions of a number of projects by Willats. 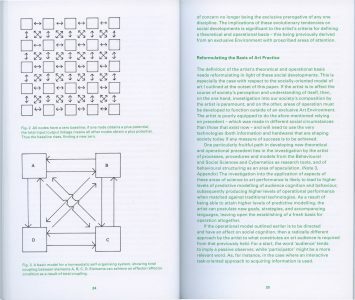 Along with the original text, this edition features archival images and a specially written introduction by the artist. 130 × 210 mm, 96 pp.